BAKERSFIELD, CA. — The Annual Virtual Enterprise Competition is in Bakersfield this week. The event allows high school students across California pitch their own business ideas for a chance to make it to the national competition in New York City. 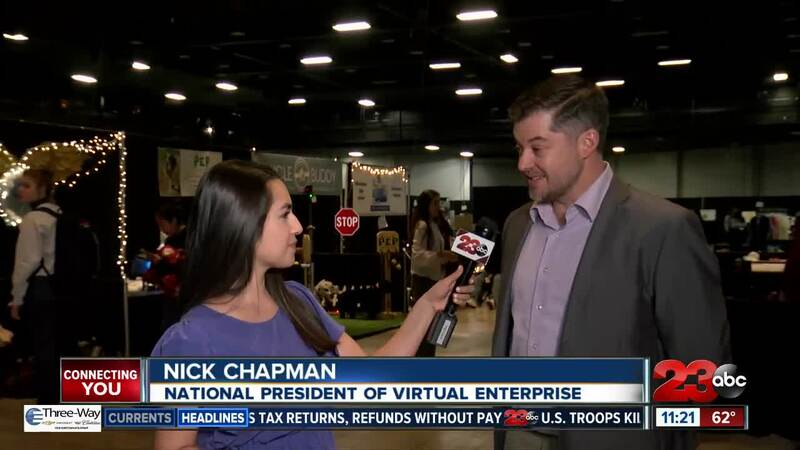 Nick Chapman, President of the Virtual Enterprise Competition, says the students spend months working with their high school teachers to develop a business plan that they can pitch to "investors." About a thousand students are expected to compete this week and only six out of the 42 teams pitching their business plans will advance to the national competition in New York. Bakersfield High School has won the national event two years in a row.